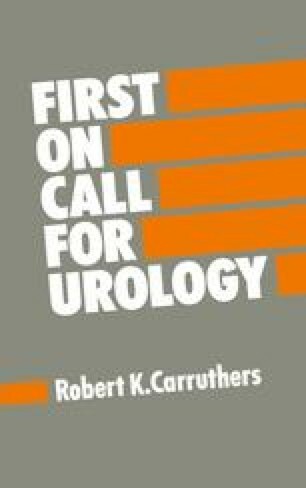 Urological symptoms as met with in the outpatient clinics tend to be very non-specific and it is often difficult to make an accurate diagnosis on the bases of signs and symptoms alone. However, the interpretation of the emergency clinical presentation is usually facilitated by the fact that the signs and symptoms are rather more dramatic: e.g. a distended painful bladder associated with an inability to pass urine obviously suggests urinary retention; a swollen painful testicle of sudden onset in a young boy must indicate the likelihood of a torsion and therefore make surgical exploration of the scrotum mandatory.